Marissa Mayer is getting ready to say goodbye to Yahoo's board, but not necessarily to the Yahoo brand. The company said in a U.S. Securities and Exchange Commission filing Monday that it will shed almost everything that makes it Yahoo, including its name, when its deal with Verizon closes. If you're a Yahoo shareholder, you might notice the difference, but for Yahoo users, the consequences of Monday's filing are minimal. Yahoo the company has two major assets: a worldwide network of internet portals, and a 15 percent stake in Chinese internet giant Alibaba worth many times that. When a plan to sell off the Alibaba stake ran into tax complications, the company pivoted, instead striking a deal to sell its portals, its brand -- almost everything but the Alibaba stake, in fact -- to Verizon. Verizon is expected to merge Yahoo's portal activities with AOL, which it bought in 2015. He was positive about his relationship with Mayer, saying, "I think we'll be able to work very well together." 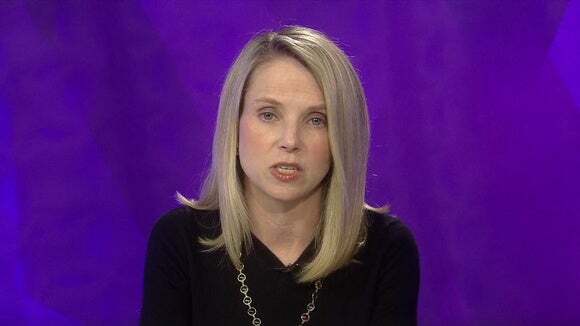 At the time, Mayer told CNBC's Squawk on the Street that "I love Yahoo, and I want to see Yahoo into the next chapter." In the months since then, Yahoo has admitted to two of the biggest data breaches ever. In September, it acknowledged that details of 500 million accounts had been stolen. In December, it said that details of 1 billion accounts were stolen in a separate incident. News of the breaches tarnished Yahoo's brand and the reputation of its management team and prompted reports that Verizon was seeking to renegotiate or even abandon the deal. But Monday's SEC filing indicates that the deal is still on. Sparing users the confusion of differentiating between Yahoo the brand, and Yahoo the company, the company plans to rename itself Altaba once the deal goes through. Once Verizon takes over the Yahoo portals and brand, Altaba's main purpose will be as an investment vehicle for stakes in Alibaba and in Yahoo Japan, an independent company of which Yahoo only owns 35.6 percent. Most of the rest is owned by Softbank Group, the Japanese company that also owns U.S. telco Sprint and chip designer ARM. Rules for investment companies mean Altaba will be able to operate with a smaller board after the Verizon deal closes, and so, "immediately following the closing, the size of the Board will be reduced to five directors," from 11 today, the company said in its SEC filing. In that case, Mayer and five others will resign, it said. Verizon declined to comment on Yahoo's SEC filing and Yahoo itself was not immediately available to answer queries. AOL's Armstrong, though, appears to still be positive about his working relationship with Mayer. In December, Armstrong told Business Insider that while he could not speak for Mayer, he wanted her to continue to develop Yahoo's activities at Verizon: "Hopefully, as we go forward, Marissa will play a role in getting Yahoo to the next generation of what Yahoo is going to be," he said. So really, it's not Yahoo, but Altaba, that Mayer would be leaving. And she'll be taking most of Yahoo with her.